Kendall-Jackson's winemaster talks chardonnay and cabernet sauvignon. There are a lot of winemakers in Vancouver this week at the 40th Vancouver International; Wine Festival but few if any come with the knowledge and experience of Kendall-Jackson’s Winemaster Randy Ullom. The 65-year-old Ullom is a senior vice president and chief winemaker responsible for the entire Kendall-Jackson portfolio as well as the company’s Chilean operations. Ullom oversees 12,800 acres of estate vineyards, all coastal and all cool, divided evenly between North Coast, Monterey and Santa Barbara counties. ‘K-J’ as its referred to is part of an even larger Jackson Family Wines portfolio of wineries and brands making 6 million cases annually in multiple countries. Over the last twenty years Ullom has been the rock at K-J balancing the need to be progressive and move forward but never taking his eye off the consumers that have made Kendall-Jackson so successful. We caught up with Ullom inside the International Tasting Room to ask about his chardonnay, cabernet sauvignon and the new VR rosé. 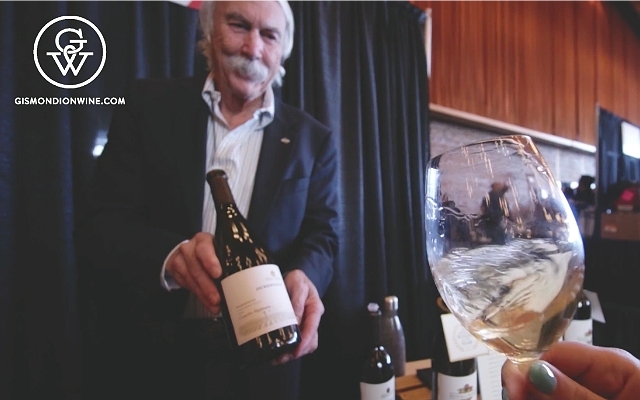 Monte Creek Ranch Winery at VIWF: Pushing the boundaries of winegrowing in B.C.